Barcelona have denied that former president Sandro Rosell illegally bought a liver for ex-France defender Eric Abidal. 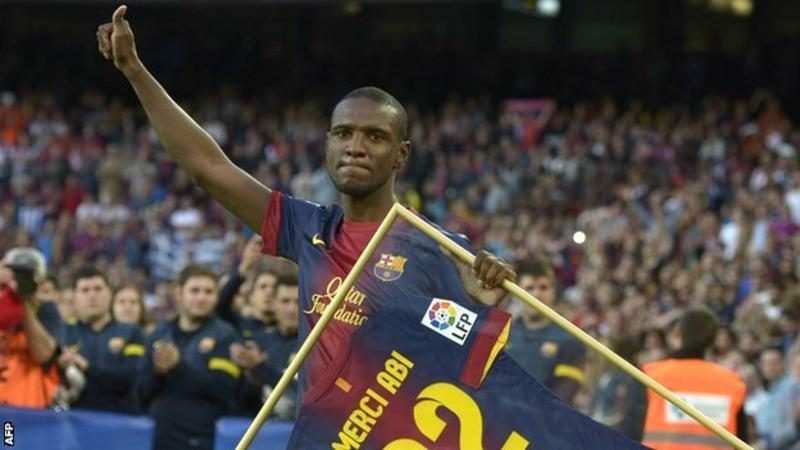 Abidal, 38, who is now the club’s technical secretary, had a transplant in 2012 after a tumour was found in his liver. Reports in Spain claim Rosell, who was arrested for money-laundering in 2017, purchased the organ. Barcelona say they “roundly deny any irregularity in the matter”. The claim has also been denied by Abidal and the Hospital Clinic de Barcelona, where the player had the operation. In a statement, Abidal spoke of his “annoyance and sadness” regarding the claims. “My cousin Gerard donated his liver to save my life and for this I am truly grateful to him,” he said on Twitter. A spokesperson for the Catalan Justice Department told BBC Sport a case against Rosell for the “alleged illegal purchase of an organ” was closed without charge earlier this year. Spain’s national transplant organisation said an investigation it launched together with the hospital and the Catalan Transplant Organisation showed the donation and transplant “was in accordance with current legislation and common clinical protocols”. Abidal, who spent six seasons at the Nou Camp, made his comeback for Barcelona in April 2013 before joining Monaco three months later. Last week a Spanish court ruled that Rosell, who is in custody, will stand trial on charges of money laundering involving the sale of television rights for Brazil matches.